Philadelphia Union fans have been dealt heavy blows of late. Their veteran goalkeeper was sent away and within days, the face of their franchise was traded away and not to the glamour of the English Premier League. Rather, Sebastien Le Toux is finding his way up north, to Vancouver. Officially, Le Toux was let go for allocation money. No player acquisition, no high profile trade. Simple allocation money. The story broke to the surprise of many, including Le Toux himself who found out on the way to practice. However, most shocking was the manner in which his trade to the Whitecaps was handled. 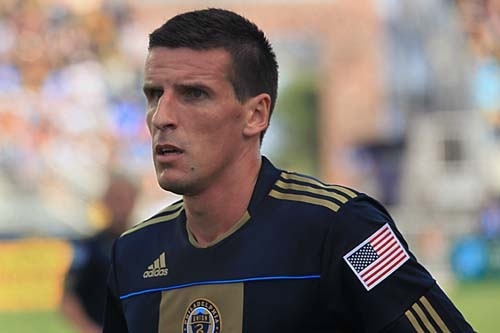 It seems that from Sebastien Le Toux's perspective, the Union have been trying to offload him for weeks. The Union sent the French striker, out of shape and dull from the off-season, to a trial with Bolton. They were hoping that Le Toux would impress enough for them to sell the player. If that alone does not raise flags, few things will. For context, Le Toux was in his final year of contract and looking to secure $400,000. This number is just below the Designated Player status. It might seem unwarranted until his scoring rate is examined. It must be pointed out that Le Toux was ranked among the top five goalscorers in his two years with the Union. Le Toux for his part, looked to rectify his contract in his meeting with Nick Sakiewicz, the Union CEO. According to Le Toux, "It had gotten to the point where I said to them, to Nick, to Peter, 'Just give me a contract and I will sign it.' I wanted to stay in Philly, I didn't care about the money." Most disconcerting and even more disheartening is that the Union were so actively looking to offload a striker who has given his heart and soul to the organization. Le Toux developed fantastic relationships with the fan base, he reached out to players on the team and even played out of position with little argument. One wonders what a historically respected coach like Nowak is thinking here. Offloading a fan favorite player who has scored goals in bunches, essentially helping to build the club from the ground up, with the only explanation being that he's looking to build for the future and needed the cap space. Really Peter? 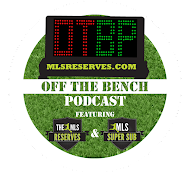 Was the budget so tight after letting Mondragon go that Le Toux couldn't fit into the system? Le Toux: "The only thing they wanted is the money. Being with this team and being a guy, not to build around, but to help this team, was what I wanted... They must have wanted to sell me for money because they needed money. We don't have a nice practice facility and that is something they promised since I am here, it's terrible." Lacking money is of course a reality, but PPL park sells out regularly, jerseys are bought and the team has a major sponsor in Bimbo. So where is this money magically going to? A question that needs to be answered. One of many now for the Philadelphia management. Peter Nowak seemed to have no love lost for his former MVP candidate striker. "Feelings are not in my job description. I have to make sure the team is good... and that the team is going to have a future." "It's about trying to build a club around the future, not around one player," said Nowak. [Edit] Nowak does explain some of this thinking here. Building for the youth movement is fine, but when your club lacks veterans it's unlikely the team advances far. Just ask Arsenal fans. The reality is a plan like that just does not work long term. A balance of veteran leadership and youthful energy is essential. Who better to lead the young attackers than a veteran goalscorer who put the ball in the net from day one in the league. Moreover, he's done that for two expansion teams. Worth noting as well is that in the same week that Philadelphia receive the All-Star game, they trade away their legitimate All-Star contender. Now though, the Frenchman finds himself on the offensively stacked Vancouver Whitecaps. He'll join the fiery Eric Hassli, the Vietnamese kid in Lee Nguyen and the NASL Golden Boot winner Etienne Barbara. You can bet that he'll be scoring goals for the Whitecaps this season, if only to prove something to Nowak. For his part, Sebastien Le Toux would rather retire than play for Nowak again. At the end of the day, can you blame him? *Editor's Note: This article was written in initial reaction to Sebastien Le Toux's words. After further investigation, there is certainly more to the counter argument than originally interpreted. In the interest of clarity, the original article remains unchanged. However, a second article on this matter will be forthcoming. Is this an opinion piece or news?